A man was able to detain one of two teens he found trying to burglarize his family's Menlo Park home early this morning, even after the suspects struck the victim with a hammer, according to police. At around 12:05 a.m., officers responded to a report of an interrupted residential burglary in the 1100 block of Carlton Avenue, police said. Upon arrival, officers found that the victim had detained one of the suspected burglars, a 13-year-old boy. The victim told officers he and his family had returned home only it find it had been ransacked. When the man checked the home, he found two teens inside a bedroom, according to police. As the man tried to detain one of the suspects, he was stuck with a hammer, causing minor injuries. The victim, however, was still able to detain the 13-year-old. The second suspect fled, police said. 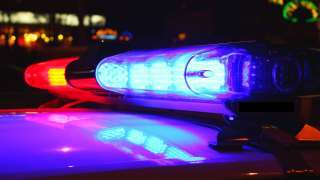 After detaining the boy, officers set up a perimeter in the neighborhood and located the second suspect, a 17-year-old girl, in the 1100 block of Sevier Avenue, police said. Officers arrested the boy, a Menlo Park resident, and the girl, an East Palo Alto resident, on suspicion of robbery, residential burglary, assault with a deadly weapon, vandalism, and conspiracy and resisting arrest, according to police. The pair was booked into Hillcrest Juvenile Hall, police said.